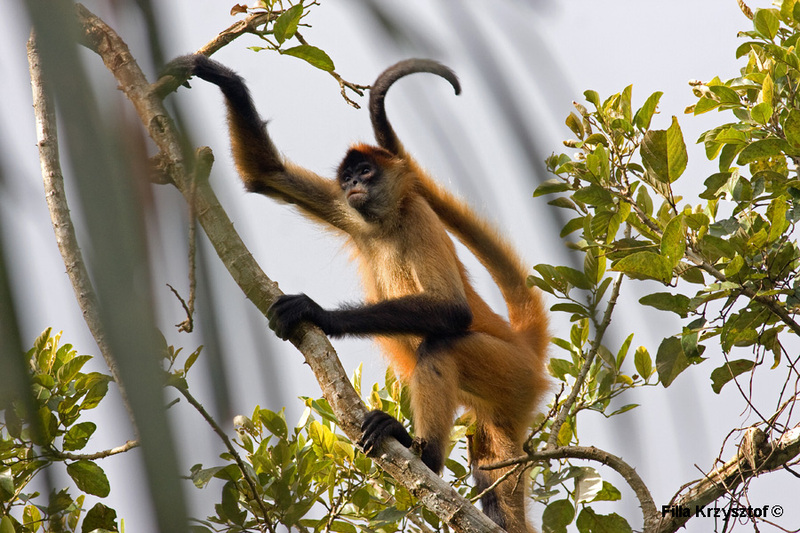 The Nicaraguan spider monkey (Ateles geoffroyi geoffroyi) . One of the distinctive features of these monkeys is their long and strong tail that they use as another limb when moving in the tree canopy. This extra limb makes their movements appear like a spider. Females giving birth to only one offspring every two to four years. This low birth rate is a contributing factor in the decline in Nicaraguan spider monkey populations.